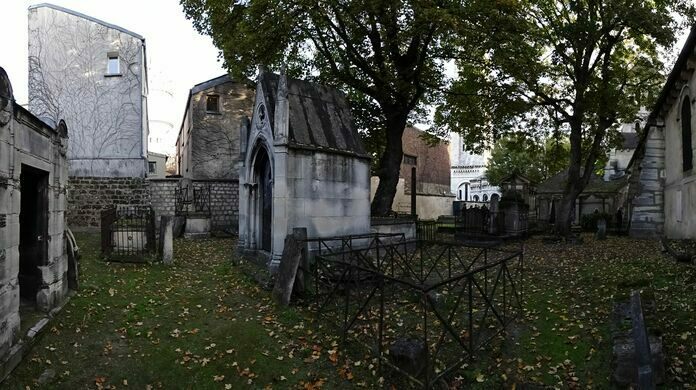 The oldest and smallest cemetery in Paris is only open to the public twice a year. Visiting Calvary Cemetery (Le Cimetière du Calvaire) in Paris is difficult, but not nearly as difficult as being permitted to be buried there. The headless bodies of more than 1,300 guillotined victims of the Terror are buried here in mass graves. The macabre collection of Jacques Sirgent, an expert scholar on the undead and all of their trappings. The cemetery, located in Paris’ Montemartre district, is the city’s smallest and oldest, and is only open to the public twice a year. People can visit on November 1 (All Saints’ Day) and during the city’s Heritage Days, which occur the third weekend in September. As for the burials, only those who are decedents of the families who are already buried there can use Le Cimetière du Calvaire as their final resting place. The cemetery, which opened in 1688 on the grounds of the Montmartre Abbey, was originally used to bury members of the religious order. Both the abbey and the cemetery were damaged during the French Revolution, but as Le Cimetière du Calvaire was the only cemetery in the village, it was reopened in 1801. However, it closed once again with the opening of the Cimetière Saint-Vincent in 1831. Today, the roughly 6,500-square-foot cemetery holds 85 burial plots. There’s one plot dedicated to soldiers who died in Paris in March 1814 during the Battle of Paris, but the majority of the plots in Le Cimetière du Calvaire are for the members of prominent Montemartre families. Some of the notable people buried there include members of the Debray family, a milling family known for the Moulin de la Galette, a mill and restaurant whose prominent windmill was immortalized by artists like Renoir and van Gogh; Nicolas-Félix Desportes, Montemartre’s first mayor; the Lecuyer family, considered the oldest family in Montmartre; and the explorer Louis Antoine de Bougainville, for whom the plant the Bougainvillea is named (however, most of de Bougainville is buried at the Pantheon in Paris; only his heart lies at Le Cimetière du Calvaire). In 1980, Italian sculptor Tommaso Gismondi, whose work can be seen at the Vatican, created a bronze door that now serves as the entrance to the cemetery. The ornate brass door only opens twice a year. Beyond it lies a mostly hidden part of Paris’ history. Original cabaret handbills, posters, and feline artwork are a purrfect highlight of the Museum of Montmartre. This surreal statue brings a famous French novel about a supernatural cad to arresting life.